Hannah is six years old; her brother Jack is four. 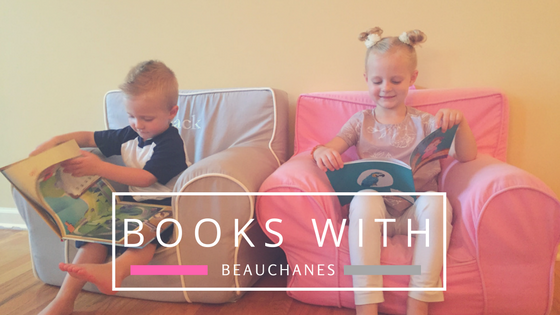 Their love for a picture book is as strong as ever, as it gives them the chance to talk amongst themselves and guess the endless possibilities of the next page. It’s no surprise that Steve Richardson’s Paisley Rabbit and the Treehouse Contest is one of those books. Paisley, who has never used tools and doesn’t have an experienced grownup to help her, is determined to make something happen in a more unconventional way. While her friends jump right into building, she heads straight to the library and spends hours conducting research. While they’re getting their dads to do the major lifting, she’s creating a Master Treehouse Plan that involves an architect, investors, the local newspaper and the town mayor. The day after Halloween, the city newspaper is at Jimmy’s house interviewing him and his dad about his treehouse. Timmy and Nelson give up right then and there; there’s no way they’re going to build a treehouse better than Jimmy’s. What her friends don’t know is that the Master Treehouse Plan is beyond their wildest imaginations. Her passion for knowledge and her family make her an extraordinary young heroine who utilizes her own talents and seeks out other extraordinary characters to create the ultimate end goal. Jack is always the one who points out specific details of the illustrations, and this was his picture book heaven. The intricacies of Chris Dunn’s illustrations were admired by both children, especially the details of Paisley’s treehouse. They spent a fair amount of time admiring each section, picking out which room they wanted to be theirs and what toys they would bring from home to add to the treehouse’s collection. Hannah is the one who grasps on to the underlying themes of books, and felt strongly for this one. Like Paisley, she’s an older sister who always looks out for her younger brother. She has one of the most creative minds and always uses her creativity to think outside of the box. She felt a strong connection to Paisley and really caught on to her passion. When asked how they liked the book, Hannah gave two thumbs up while Jack immediately left the room to get a piece of paper and a pencil. The planning stages have already begun for their treehouse, ball pit included. They are determined to create their own treehouse – just like Paisley Rabbit.